Full-length studio portrait of Julius F. Randolph. 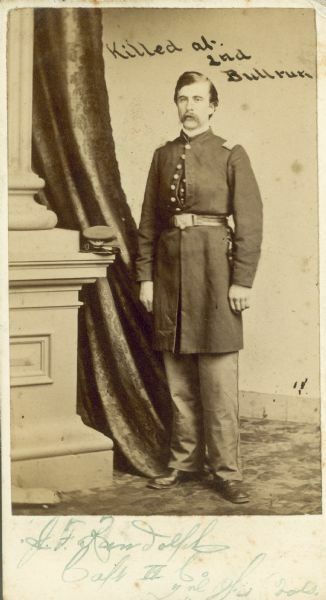 Captain of the 2nd Wisconsin infantry. Killed at second Bullrun.